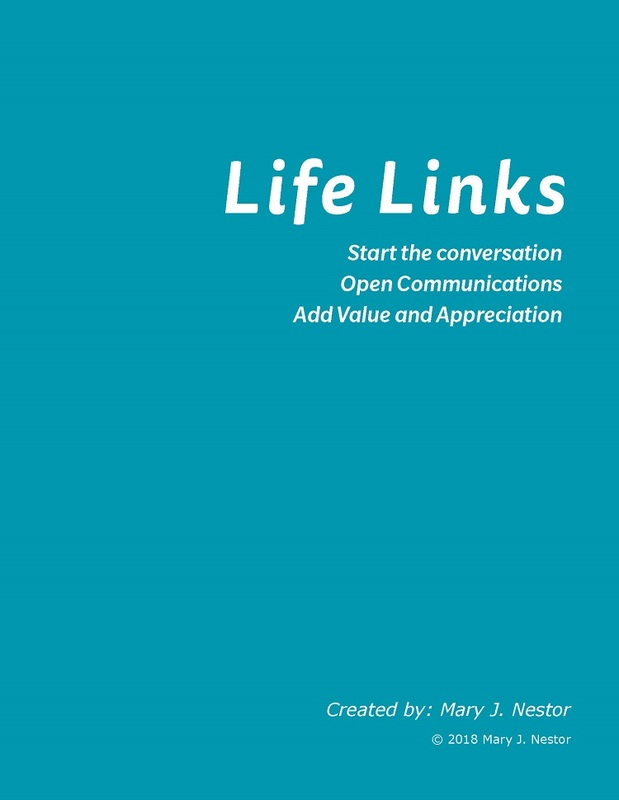 Life Links - Say It Now! Say It Right! Companies, associations, non-profits, groups, and teams who want to improve communications, strengthen relationships, and discover connections that get people communicating, valuing, and appreciating each other’s life experiences. Raving fans include Coach, Inc., NASA, Savannah Economic Development Authority (SEDA), Georgia Power Company, and The NutraSweet Company. Unplug – No batteries or chargers required – just face-to-face communication. Discover – New interesting, fun, surprising (sometimes shocking) facts about co-workers. Connect – Find connections beyond rank, title, and job description. Have some fun! Play the match game. Laugh, gasp, clap, cheer, and get moving! Break down “silos” and strengthen cross-functional working relationships. Just for fun! Get to know your co-workers, boss, Board, team in a whole new way!